In real life Amelia’s mother died from typhus. In my book she’s locked in a basement by Amelia and eaten alive by hungry, ferocious rats. 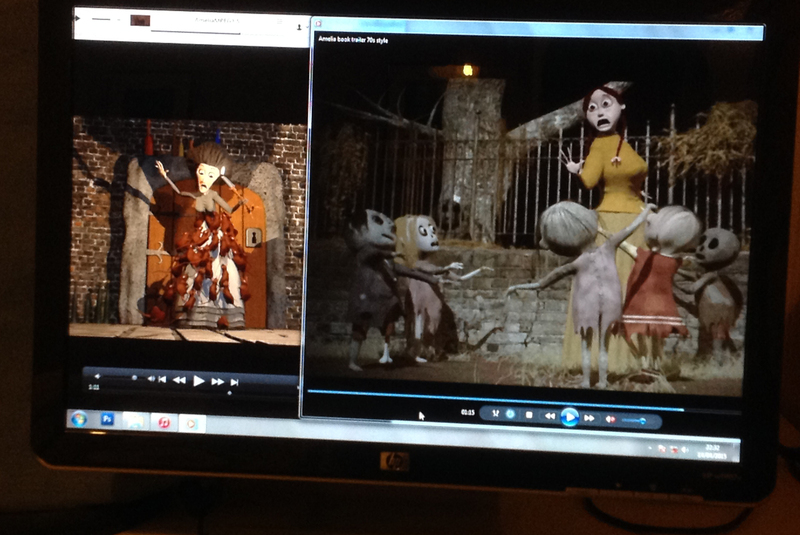 The below animated Gif illustrates Mrs Dyer just before she’s attacked by the rats. I have decided to animate parts of my picture book “Amelia Dyer” for my website and this is a short animation loop. This is the scene where Mrs Dyer is locked in the basement and that square thing behind her is the basement door reference.